Have you ever been doing dishes and afterward smell some stench coming from your garbage disposal? I had a stinky garbage disposal the other day and decided I needed to make some garbage disposal fresheners. In a large bowl, mix together the baking soda and the salt. Add the castile soap and the Lemon essential oil. Add the water slowly to the mixture. I suggest adding about a tablespoon at a time and mix with your hands. You will want a consistency of wet sand. It should stick together in a clump if you press it together. 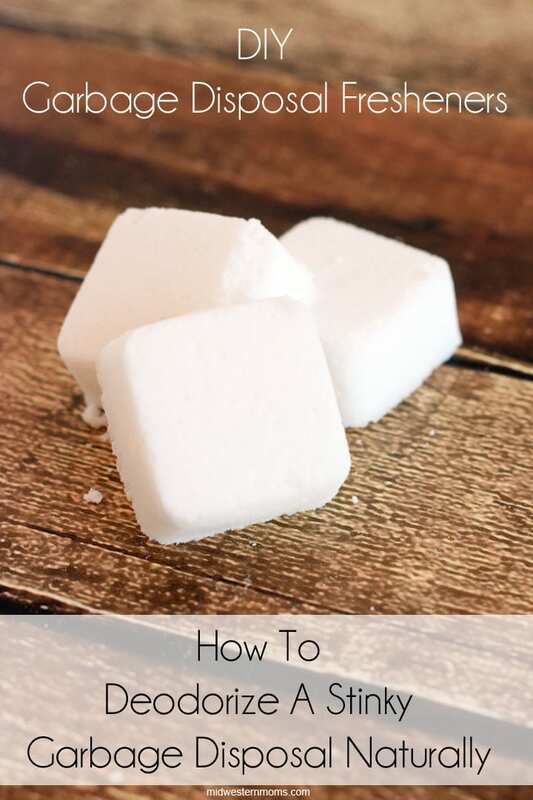 If you get too much water, you can add more baking soda and salt to the mixture to get the right consistency. Press the mixture in a silicone mold and allow them to dry for about 24 hours. If you don’t have molds, you could pack a tablespoon and place them on wax paper to dry. Store your garbage disposal fresheners in an airtight container. Use 1 to 3 fresheners to each time your garbage disposal gets stinky. Just simply place them in the garbage disposal and turn it on. No more stink! These sure beat trying to find the fresheners in the store. I have looked and had a hard time finding them. Plus, I like the idea of making my own. I know what goes in them and it makes me feel better with little ones around the house. If you would like to know more about essential oils or need to know where to purchase the Lemon essential oil, feel free to contact me. These are great. I am moving into a new house this next week, and this will be helpful wit h the garbage disposal I am so excited to have. 🙂 great blog. Hmmmm. What if all I have is peppermint castille soap? You could still use that. Thanks for the recipe!! Do you run the water when you turn on the garbage disposal or let it grind up dry? I do run water since I don’t like to use the disposal without it.